PHOENIX -- Three Phoenix police officers are recovering after being run down by a car in what authorities say was a targeted act. The incident was captured in harrowing security video released by Phoenix police. Police say 44-year-old Marc LaQuon Payne was the car’s driver and will face three charges of attempted first-degree murder, and two counts of aggravated assault. Two officers were struck around 2 a.m. Tuesday as they stood in a convenience store’s parking lot. A third officer jumped out of the way, but was injured in a struggle while arresting Payne. 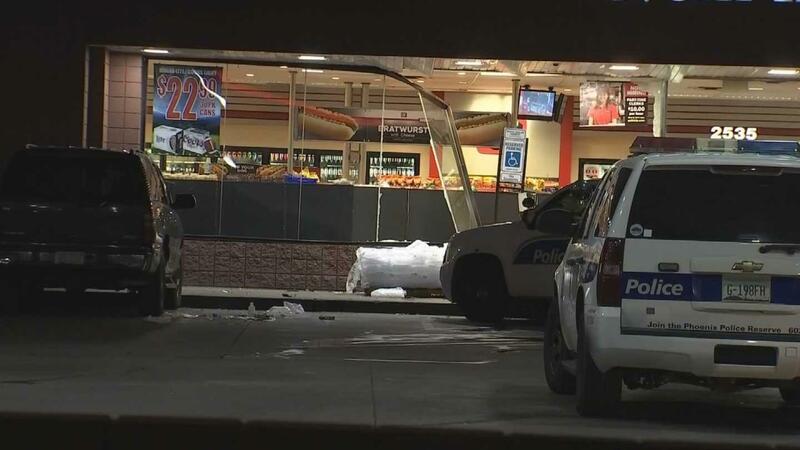 Authorities say the car Payne was driving struck a police vehicle and then crashed into the store. Police say the driver’s impairment may have been a factor. An 18-year police veteran suffered a broken leg, another veteran officer had minor injuries and a third officer had a head injury on his first day of training. The video shows one of the officers who was struck being tossed into the air by the impact.